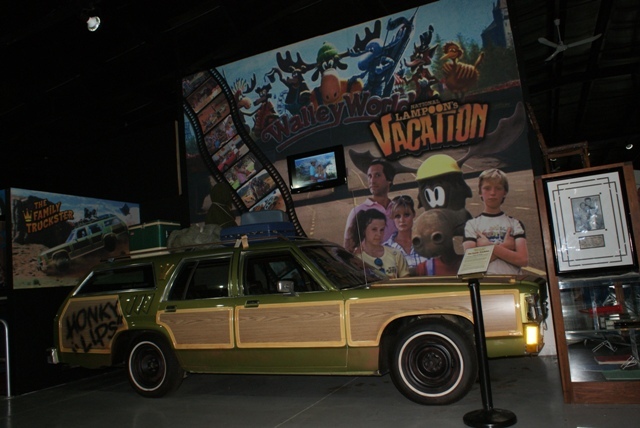 Illinois Historic Auto Museum features past Horror from both Film and History! When I took a detour past Rockford, IL, little did I know that I’d find a hidden treasure! 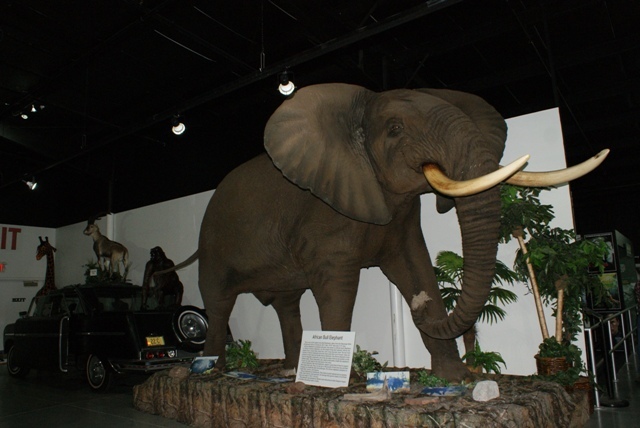 Located in Roscoe, IL is the Historic Auto Attractions. Here you have Presidents mingling with wild animals, movie memorabilia, and so much more! 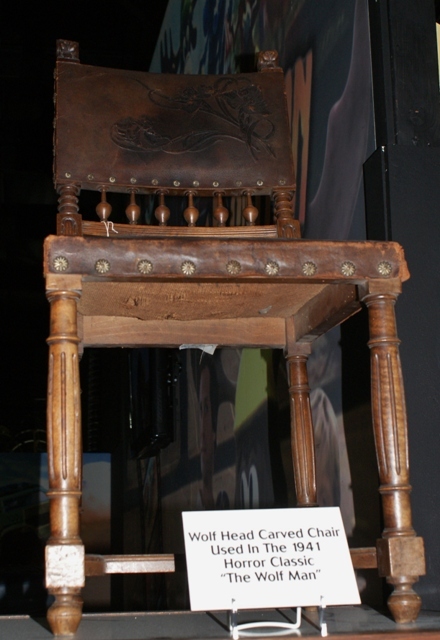 I found the chair from Universal Studios’ The Wolfman, an African Elephant, and a hearse from the Wild West among some of the treasures. There’s even Lee Harvey Oswald’s original tombstone ( I kid you not). Be sure to check out the Kennedy display! You’ll be taken back to the grassy knoll in Dallas on that fateful day and transported to the White house for the viewing of JFK’s casket too. If you never make it to White House, you’ll experience it here, as they have replicated the rooms. If you’re a history buff and fan of President Lincoln, they have you covered as there’s an entire room dedicated to him and plenty from other presidents too. Remember the Ponderosa, National Lampoon’s Vacation, Happy Days, Andy Griffith, Sanford & Son, and All in the Family? They’re all here! Dare I say if you “have a need for speed,” they also have lots of race related items, and space items too! I don’t think I’m exaggerating here when I say that this museum has it all! 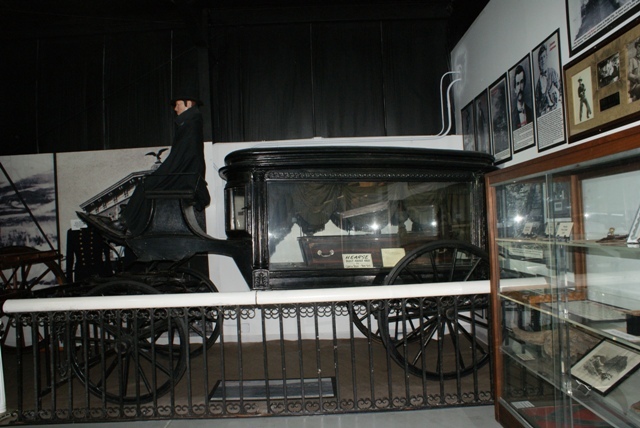 This entry was posted in Haunted Attractions and tagged Abraham Lincoln, All in the Family, Elephants, Grassy knoll, Happy Days, Historic Auto Attractions, JFK, John F. Kennedy, Lee Harvey Oswald, National Lampoon's Vacation, Roscoe Illinois, Sanford & Son, The Andy Griffith Show, The Wolf Man, Wild West. Bookmark the permalink. 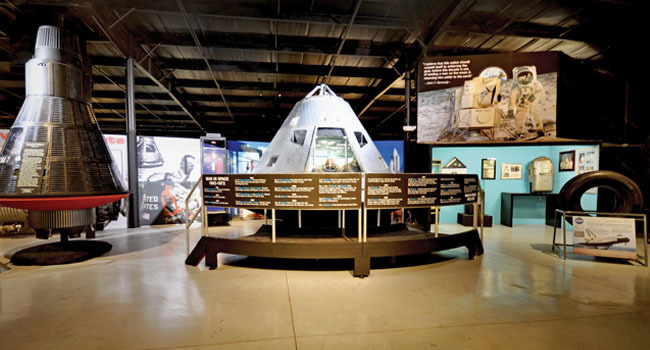 Dave, I’ve been to this museum, and, I’ve seen the chair as credited. But, I can’t say that I’ve ever seen it in the movie. Any tips about when/where to spot it. Thank you, Greg V.
Sorry Dave, I should have specified the Wolfman chair. Sven is showing the flick this weekend. Greg V.